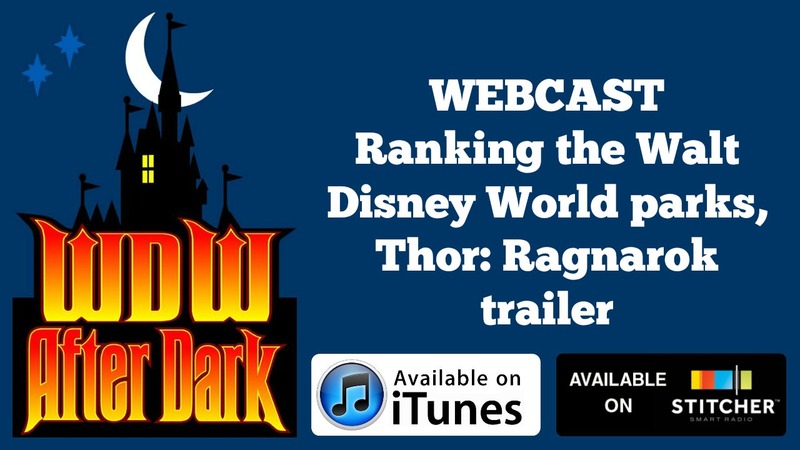 Hosts, Kristen and Jeff talk rank the Walt Disney World parks and talk about Marvel Studio's THOR: Ragnarok trailer. WDW After Dark is now on Patreon! Support our show and get rewarded at http://www.patreon.com/wdwafterdark. FOLLOW US: wdwafterdark.com | twitter.com/wdwafterdark | facebook.com/WDWAfterDarkWebcast | youtube.com/user/WDWAfterDark | Voicemail (410) 98-WDWAD – (410) 989-3923 or e-mail us at wdwafterdark@gmail.com Your comment may be featured in an upcoming episode of WDW After Dark!